This week's TGIF Challenge is to case Kaitlyn Zumbach. Yeah. No problem there. I seriously love these challenges! I've known Kaitlyn since 2013 and have been a fan since I met her. She totally gets me. Her style is very much like mine. Clean and simple with a pop of detail. 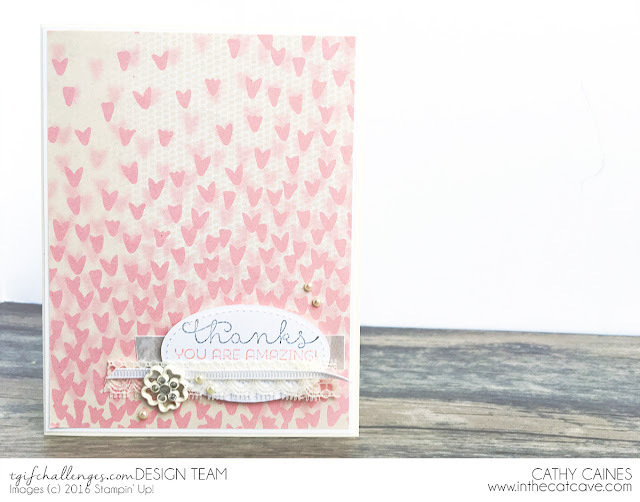 She was a Stampin' Up! Artisan and now works for the company as a Concept Artist. She's the real deal folks. 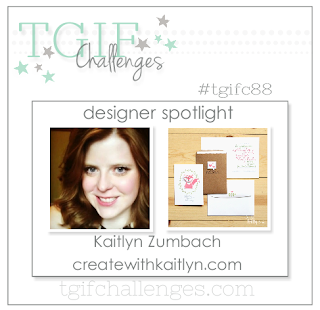 I will say, I know that Kaitlyn is always clustering and so thats where my card came together. 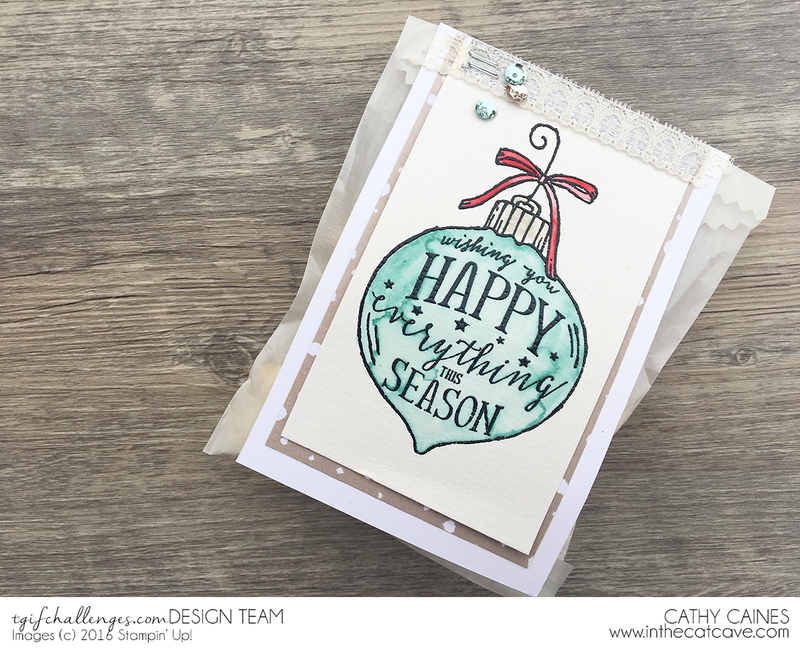 I used the brand new Falling in Love paper that Stampin' Up! is releasing in January along with the Cottage Greetings stamp set. I am off to try to finish a tedious puzzle my hubby gave me!! Have a wonderful day and make sure to join in the fun this week! We are running out of time now and tags are not what we are thinking about when it comes to getting ready for Christmas. 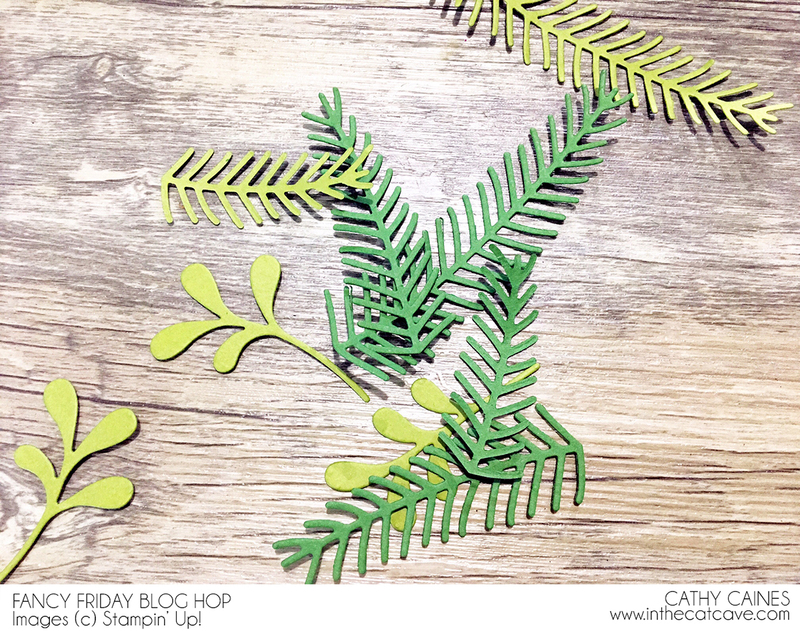 If you are in a pinch, any kind of die cut will more than suffice. It would be downright cute! 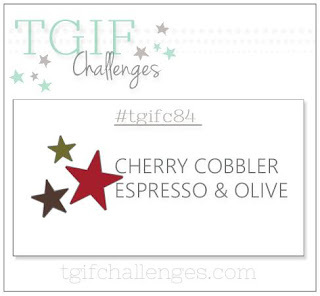 This week's challenge at TGIF is a "Pink Christmas". 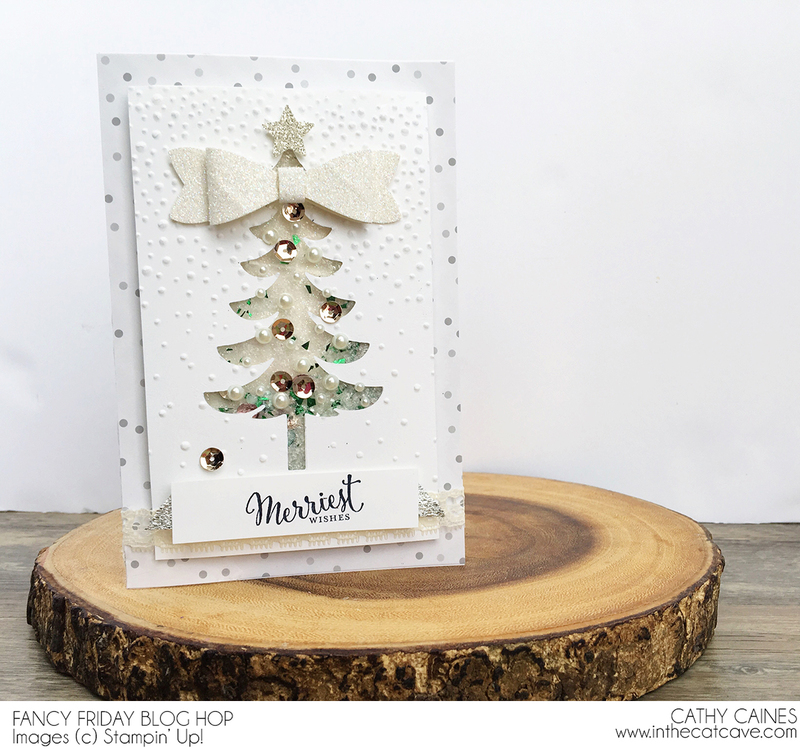 Although not traditional, it certainly is super cute when paired with white and silver. Think pink cheeks when you come in from the cold. Like all of you, I am in a hurry. 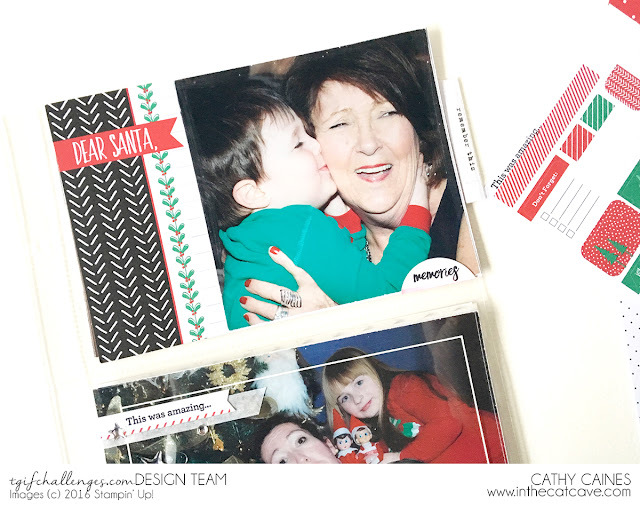 The hustle and bustle of Christmas has arrived and I am busy making memories. 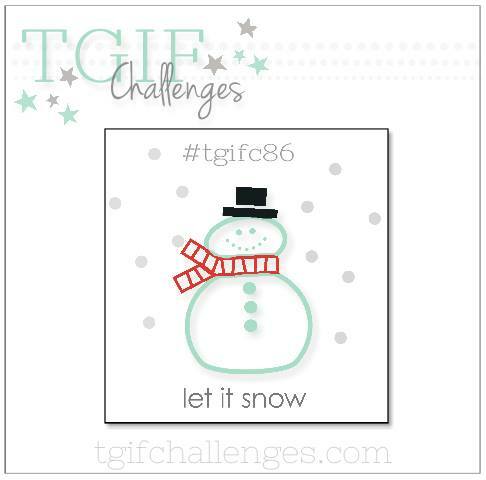 I can assure you that I can really relate to this "Let it Snow" challenge that TGIF is leading this week. With three snow storms, this week I am in a winter wonderland. 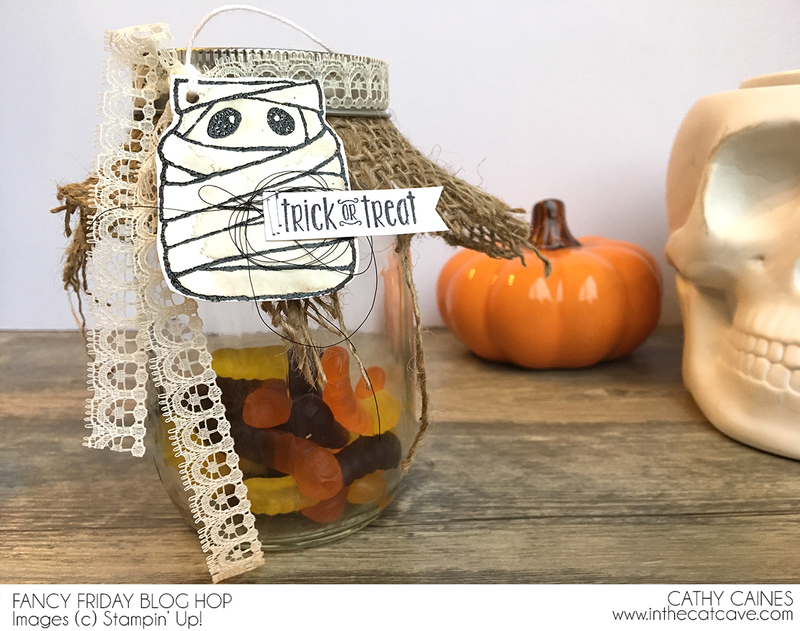 I created this project with the intent to place it in a mason jar. however, what I found was that I didn't have a short enough mason jar to gain the effect... and guess what? There was a snow storm today so I didn't get a chance to get out and get a new jar. I figured that it was meant to be to use the project as a little statue amongst my Santa's village and Nativity sets. 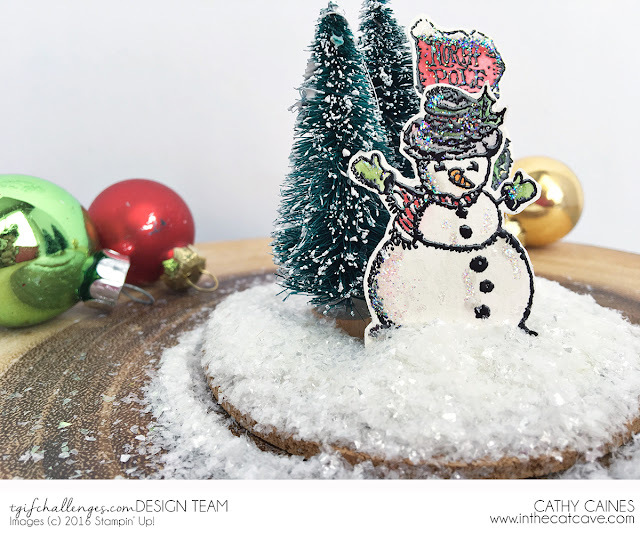 Are you inspired by the snow? Make sure to share it with us at TGIF Challenge Blog by Thursday, December 23rd. And PS. 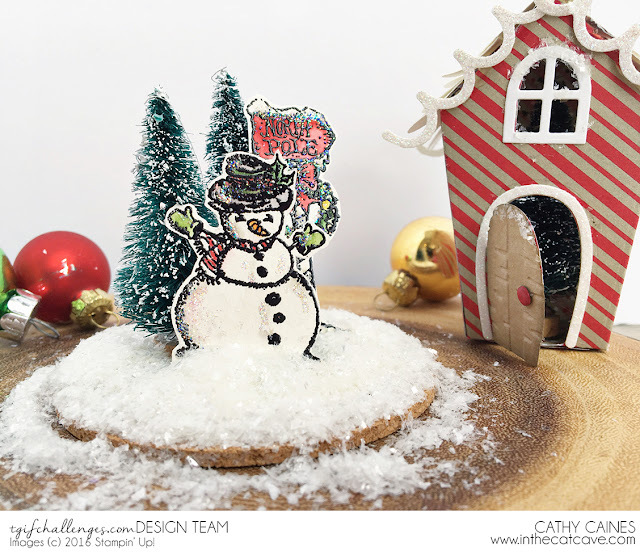 Did you see the Gingerbread House ornament? 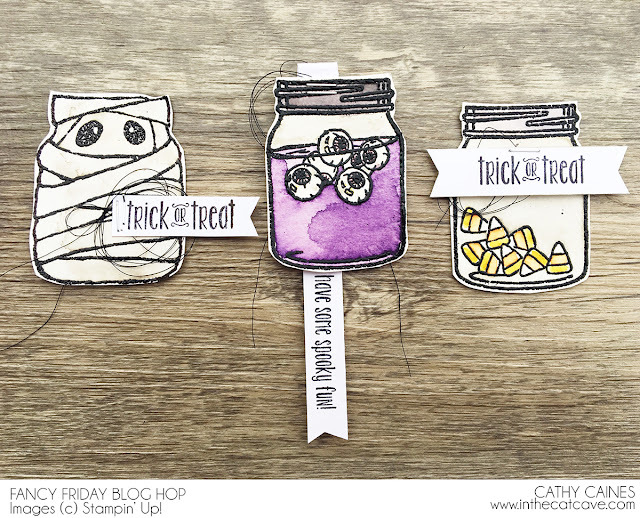 Make sure to check out that project on the Creative Scrapbooker blog from last week. Another snow blast is on the way! I have lost so many things this week. The dog's nail clippers, an important envelope and my daughter's gymnastics suit. Have YOU seen them? Seriously. Now WHERE are the cordless phones??? I did remember my Fancy Friday project. 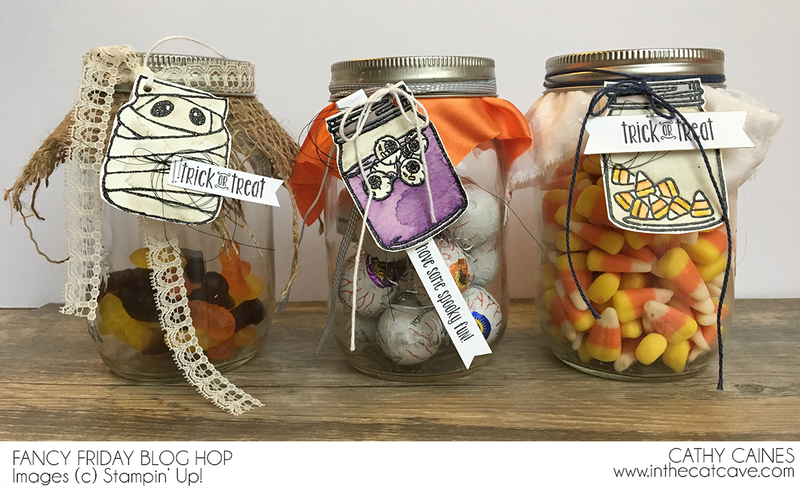 The theme of this month's hop is to use use a neutral colour with "a side of neutral colour". This actually sounded a little like my style of card. But I had trouble getting started. In the end, I made this card. It feels like too much but it is beautiful in real life. The shaker is filled with mica flakes, backed with glimmer paper along with some sequins. Over top are pearls... which I can't live without. 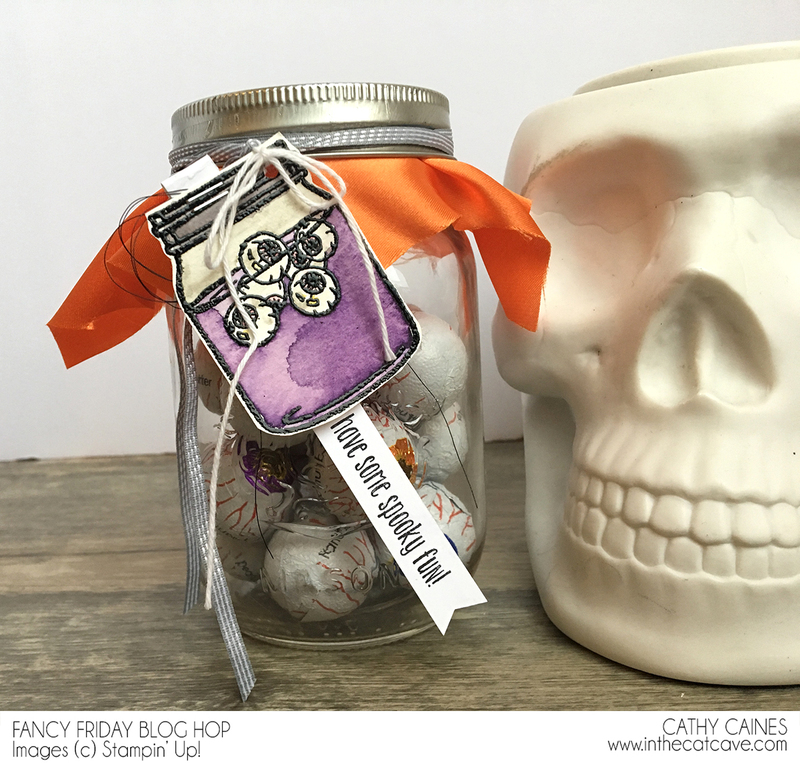 This Fancy Friday hop happens every month and is equipped with the fanciest Stampin' Up! past and current Artisans that you can find. It's truly a delight that you need to check out every month. Next on the hop is my pinky friend Erica Cerwin. I am a little mad at her right now because she lives in Texas and I stuck in the snow up here on the East Coast of Canada. It simply IS NOT FAIR. None the less, the hop must go on. 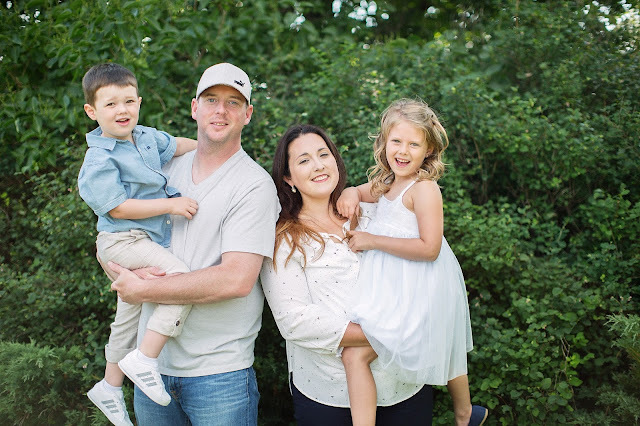 And with that - a big happy holidays from my family to yours! Like prior years, I am documenting my December in the footsteps of Ali Edwards. I have my own process, which she encourages. You'll find that every year I am caught up everyday in the first week of December. However, if I am again like prior years, I'll be finishing this album in the Fall months. I don't let that put me down. I'll say it again though - I'd like to document my stories every evening in the very least. 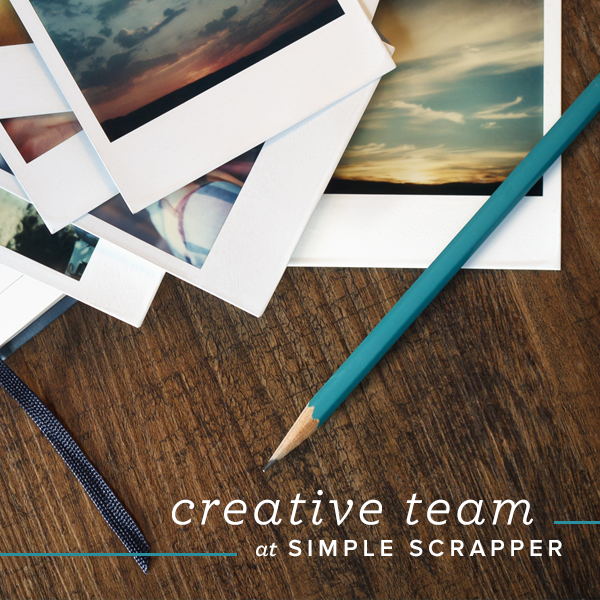 Creating a page with pictures printed would be a bonus. I look forward to sharing with you MY December 2016. And so it goes.. why do I do it? I went to bed last night, on the Eve of December, while the kids were still awake. I couldn’t keep my eyes open any longer. I had too many deadlines and too much work to catch up on the past few days and it was hitting me hard. With the intend to wake up with the birds, I fell quickly into dreamland. Tomorrow is December. Everyone in this household was excited. And here we are. I didn’t get up with the birds but I did get up before the sun. It feels like December now. A blanket of snow outside with paw prints from the day before. They say 10 to 15 centimetres tonight. Will tomorrow be the first snow day? I promised that we would decorate the tree tonight. Something that Jane is so excited for. Jack on the other hand is more excited for Bucko, the elf to arrive and to dig into his advent calendar. I get the sense that even Rooney the dog is excited because she’s at my feet while I type… this is a far cry from her usual sloth stature taking over our king size bed refusing to budge until well after everyone is up. You can feel it in the air. The jingle. But you can also feel the hustle and bustle. I love it. Everything about it. I love the gatherings. I love the shopping deals. I love all the food. Oh… the food! I love the effort that everyone puts in to connect. It’s the time of month when memories are made. So what’s my reason why? Why am I documenting my December? I am not sure. I do wonder why I waste time and money on all, this not to mention I’ll have to buy a new house just to store them all. But like many things, it fills me up. I simply enjoy it. If something makes you happy, there’s no need to look further for any other reason. Isn’t that what we are all looking for? Happiness. So Hello December 2016. I am so happy you’ve arrived. 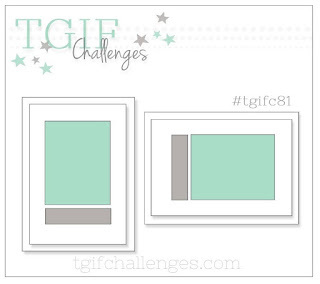 It's a colour challenge at TGIF Challenge blog this week. You'd think I could just whip this up quickly but I was in a tinkering mood. Best of all... did you see those stitched dies? 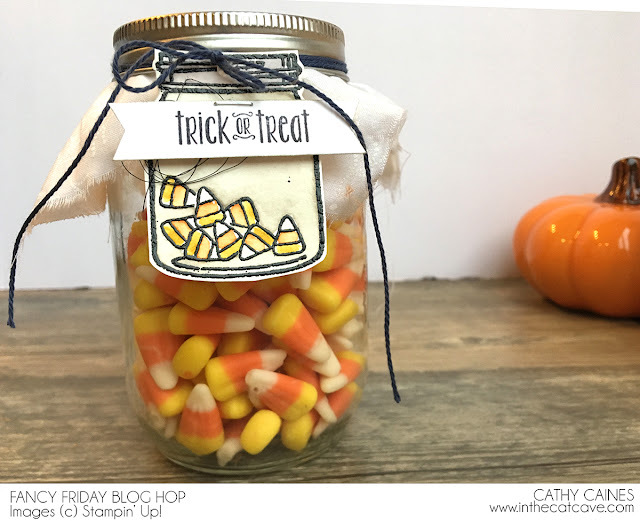 We always love to see what you do so make sure to link up on the blog! Ahhh. I haven't seen a flurry yet but its truly only a matter of time. Tomorrow marks my first Christmas party of the season. 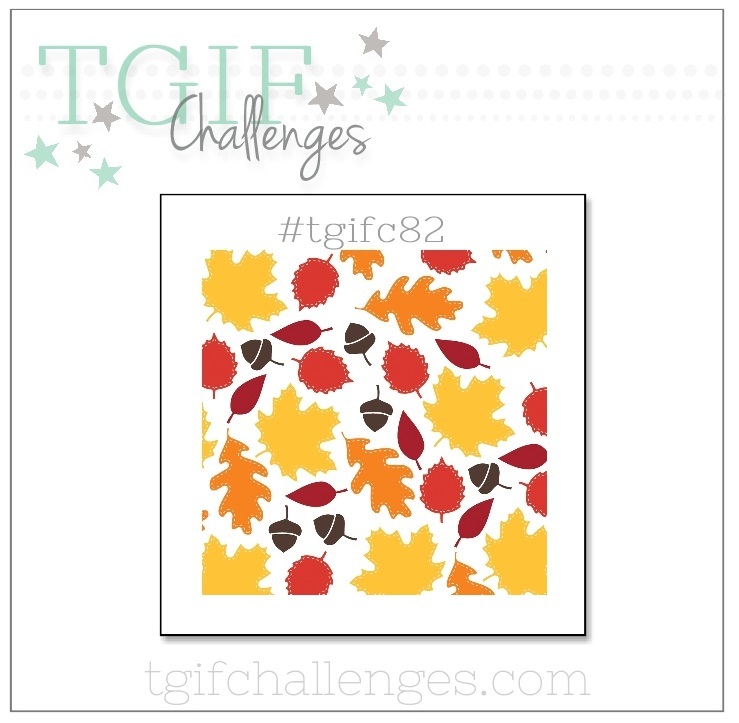 So instead of being inspired by the leaves - I was inspired by the design of this week's TGIF Challenge. I turned those leaves into snowflakes. 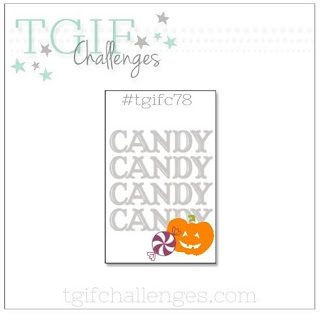 I can't wait to see how you interpret this challenge! 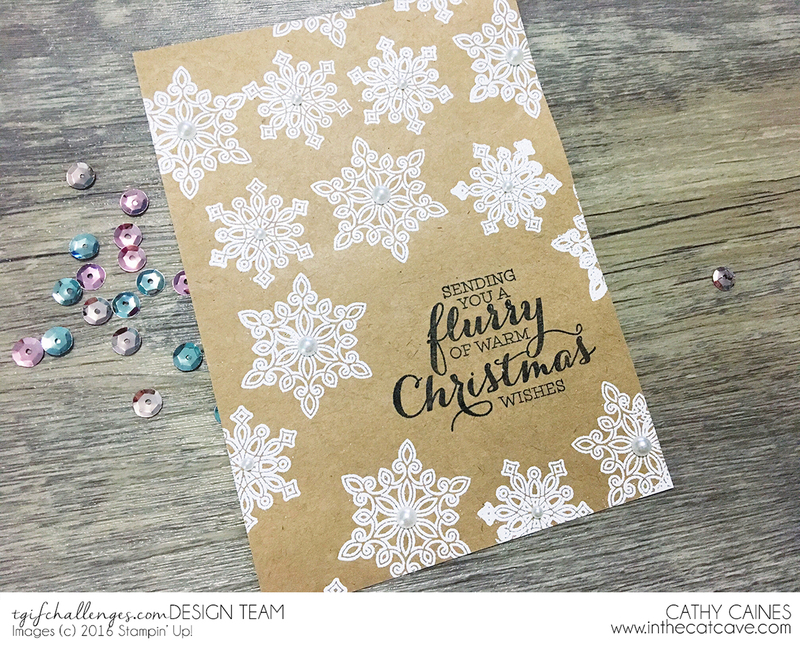 To create this simple card I heat embossed the snowflakes with white embossing powder. 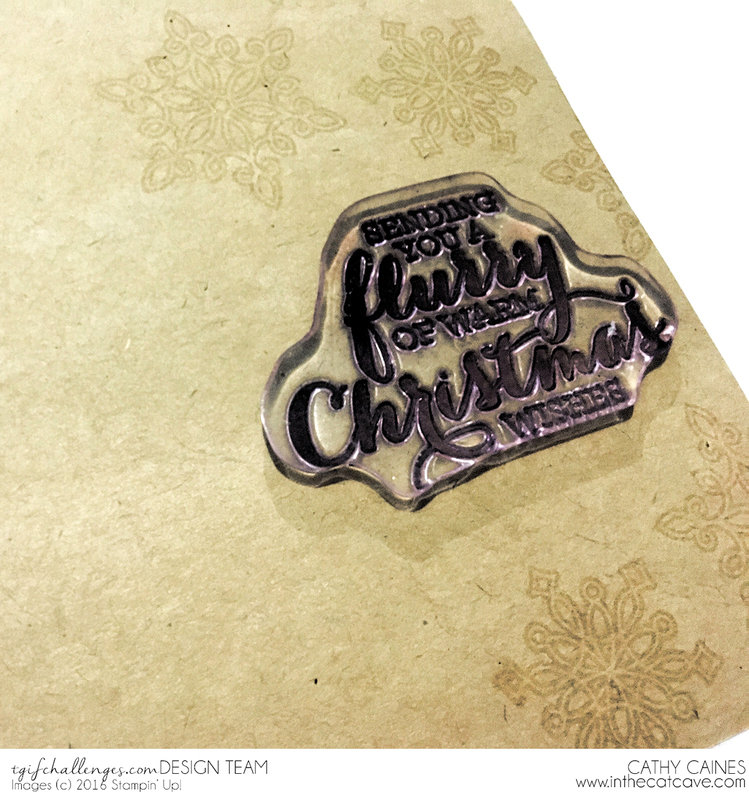 However, to make sure that I left the perfect amount of room for my sentiment, I just laid the stamp from the Flurry of Wishes Stampin' Up! stamp set on the kraft paper while I stamped versa mark around the stamp. Stamping the sentiment is the last step. It still looked too plain so as always, I added pearls. 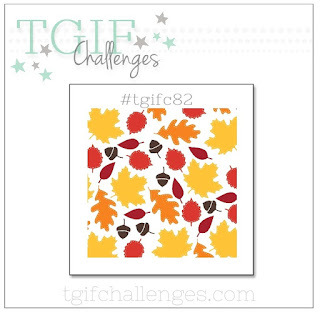 Make sure to play along with us at the TGIF Challenge blog! 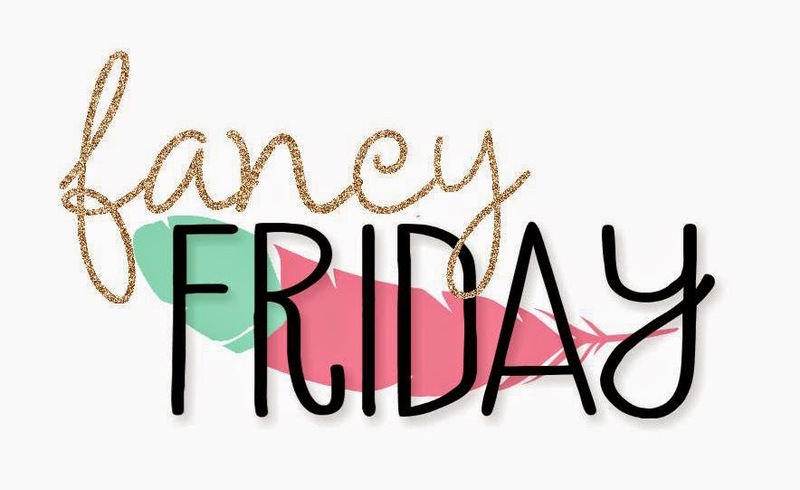 Meet November's Fancy Friday 2016. It's November and the red cups are back. You can feel the 'extra crisp' in the air. It makes me all 'jingly and tingly' inside and everywhere. 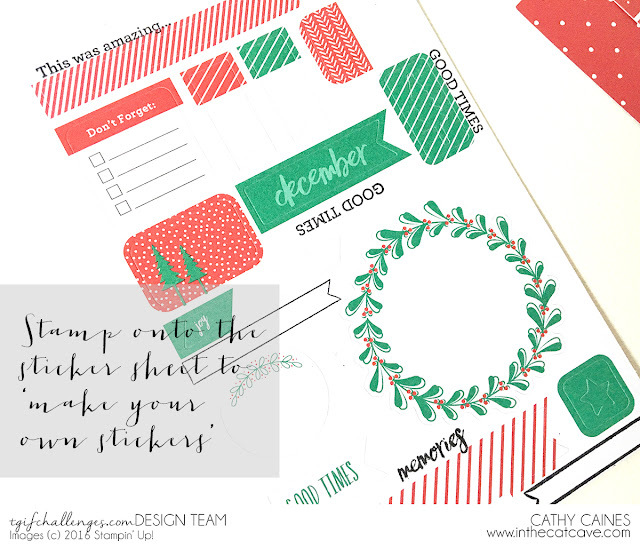 When I saw this month's inspiration challenge I was ready to tackle the holidays. 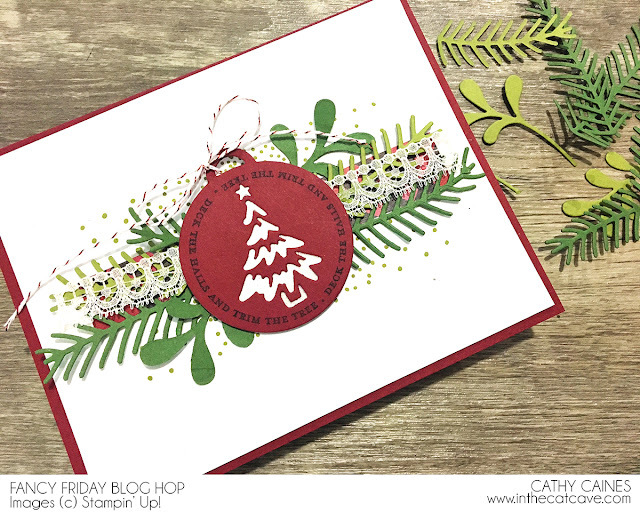 I cut the 'boughs' from the Pretty Pines Thinly dies from Stampin' Up! You've got to have these in bulk. They are inspiration just sitting in a dish on your craft table. In fact, I bought this die and didn't even bother with the stamp set. I feel like its going to be a die that I come back to every year. The stamp was a little tricky to get on the die since its a clear stamp (not photopolymer) but I persevered without a stamp-a-ma-jig. You can find the stamp called Merriest Wishes, as well as the co-ordinating Merry Tags Framelits from Stampin' Up! Don't forget to add In the Cat Cave on Facebook. Today I did a video tour of my craft room on Facebook Live! Keep inspired by checking out my friend, Erica Cerwin from Pink Buckaroo Designs. She's got your Christmas covered!! 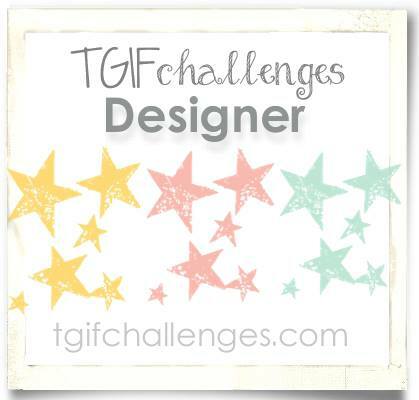 This week at TGIF Challenge Blog we are giving you a sketch. I know most of you think cards when it comes to sketches but my mind always thinks about how to incorporate it into my memory keeping. 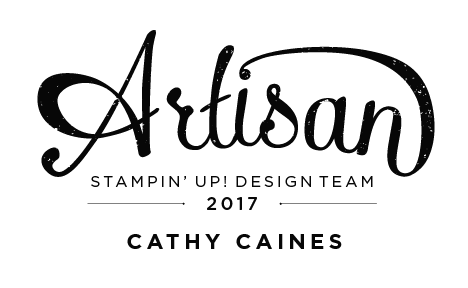 I wanted to let you in on a little secret I have when it comes to my Stampin' Up! Project Life kits. They come with little stamp sets. 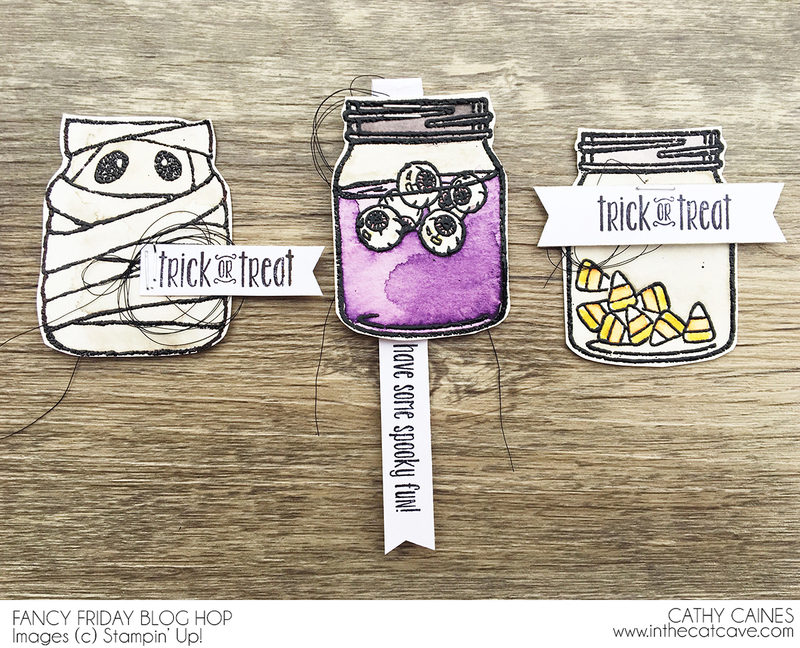 When I open them, I will often stamp the "extra bits" around the edges of the sticker embellishment sheets. You will often see the ink spill over onto the outside of the sticker. You can see above that this was how I created the sticker "This was amazing". As some of you know, I have some news to share but I've just returned home from vacation and its my son's 4th birthday today. I simply haven't had enough time to get my brain wrapped around everything. Stay tuned! 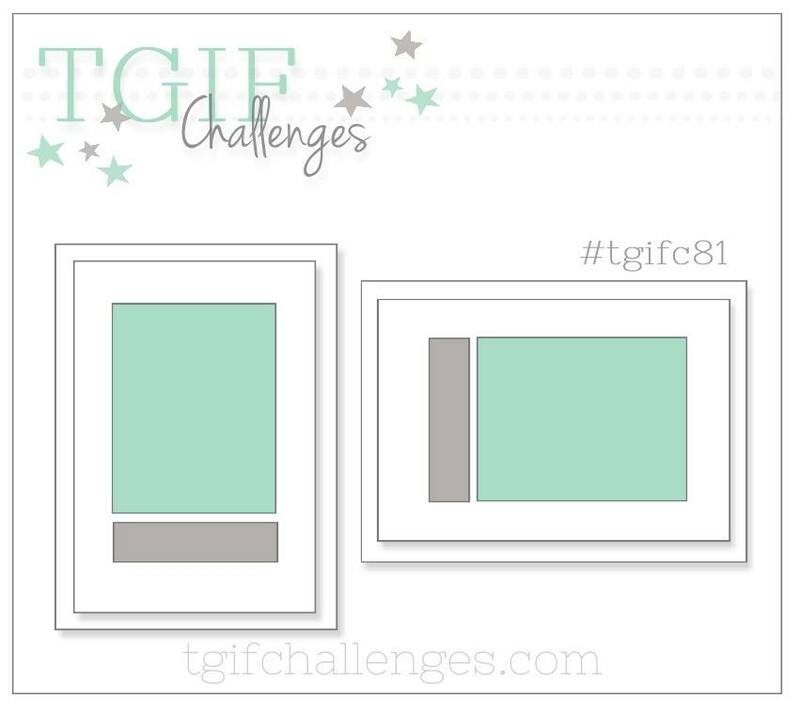 In the mean time, every week the TGIF Challenge Blog issues a inspiration challenge where we ask you to link up your project. Please join us - we look to see what you have created! Make sure to drop over to Creative Scrapbooker Magazine to see what makes this card special. 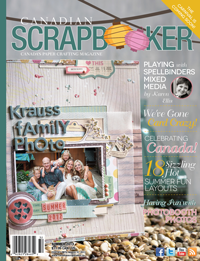 Every month I contribute a blog post to the Creative Scrapbooker Magazine's blog using Stampin' Up! products. This blog post is about making cards in bulk so it should come as no surprise that this is a card I am using for a Christmas Card swaps with my crafty Crop Circle friends. Sometimes you have to shoot for the moon. You have to try because if you don't, you don't know what could have been. And play along with us at TGIF Challenge Blog. I can't wait to see what you create! 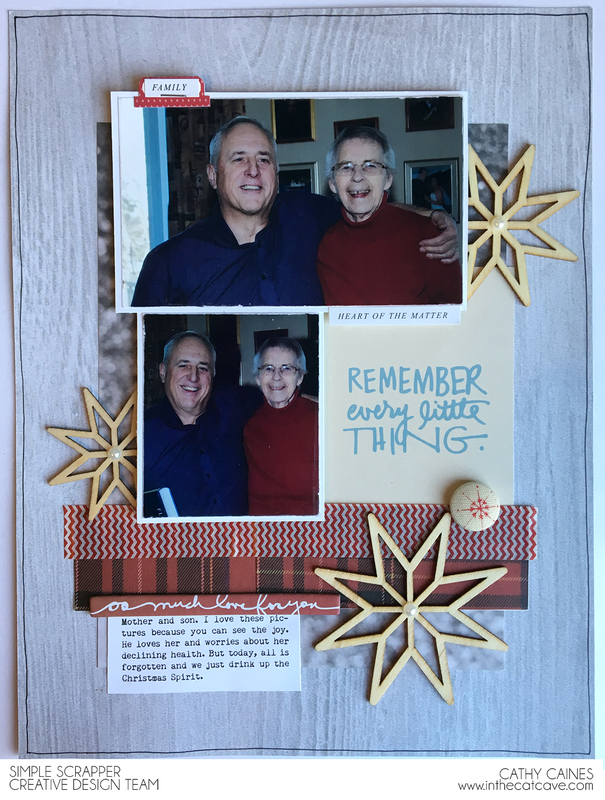 I have been ploughing through my December 2015 album and came across these photos of my Grandmother (81) and my father (60). When I look at these pictures I see happiness. It was important to me at that moment to get this story told. I shuffled the pictures around but couldn't get it just right. That's when a sketch can help. If you forget about everything else going on, just lay the photos where the sketch says. Just plop a circle or some journalling... and next thing you know... you just might have figured it all out. Inspiration comes from many places... right? 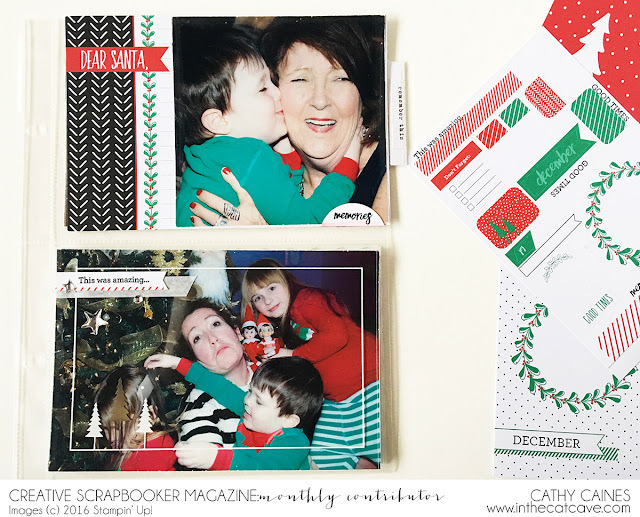 For this layout, I used a sketch provided by Simple Scrapper. 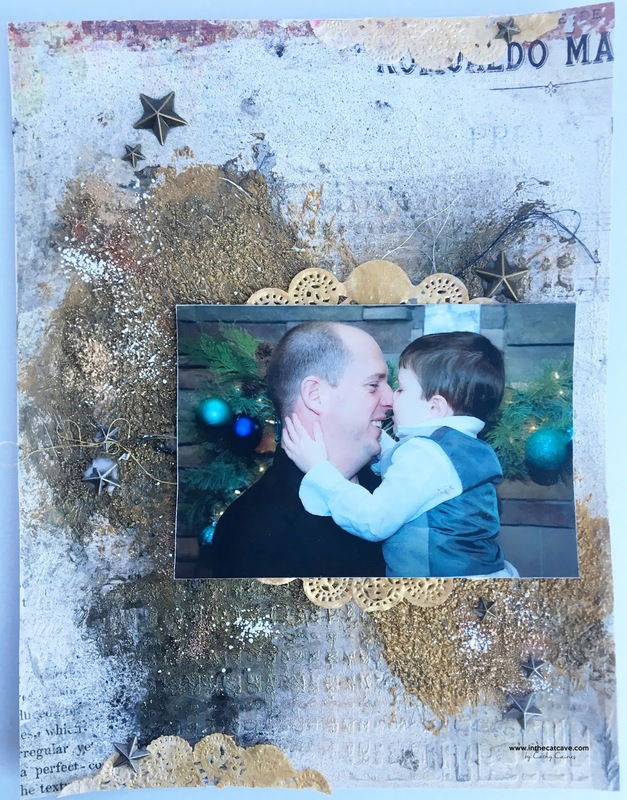 I also used paper and embellishments from primarily the Ali Edwards December Daily 2015 kit by Jasmine Jones. 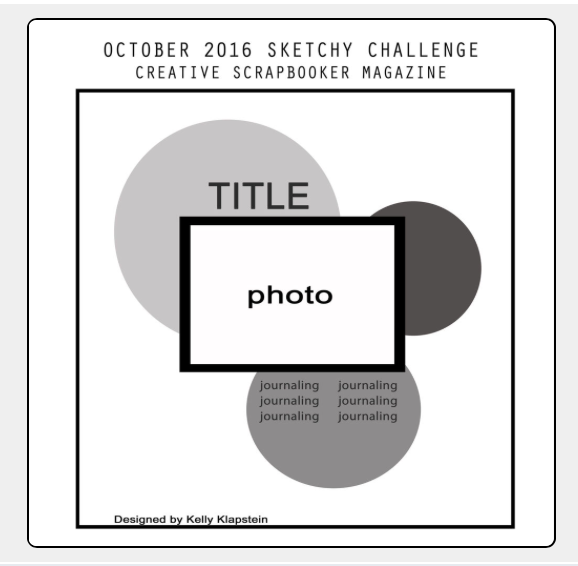 Every month the Creative Scrapbooker Magazine gives a scrapbook sketch to inspire you. I've been working very hard to get through my month of December 2015. In mid October, I participated in a crop where I spent an entire weekend scrapbooking and crafting with friends. I used this sketch by my friend, Kelly Klapstein as inspiration. The products used in this layout is from different companies. 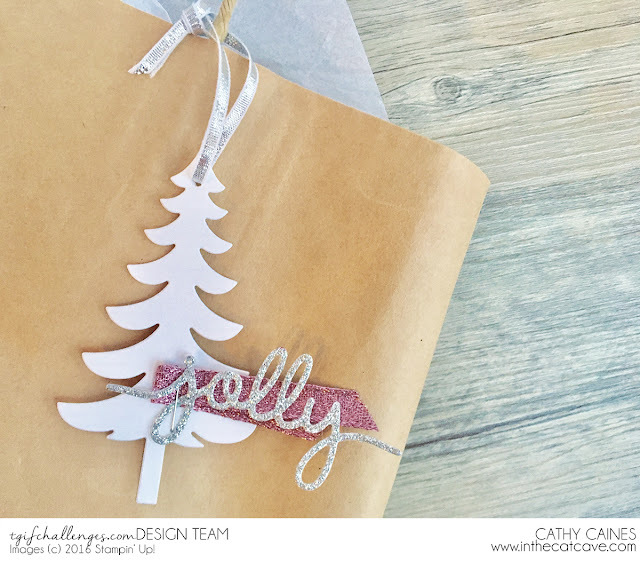 I generally keep my Christmas embellishments and papers separated from the rest of my stash. 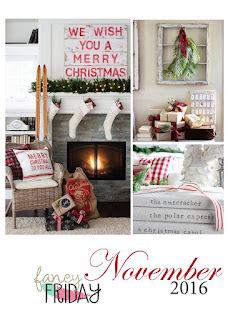 Stay tuned for more moments from my December 2015 album... yes.. a December Daily of sorts. 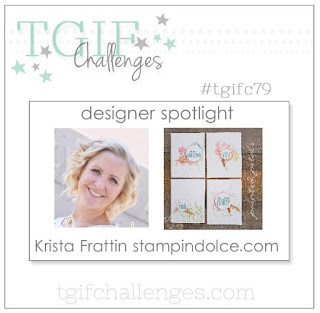 This is the first "Designer Spotlight" for the TGIF Challenge Blog and I couldn't be more pleased to be inspired by Krista Frattin. 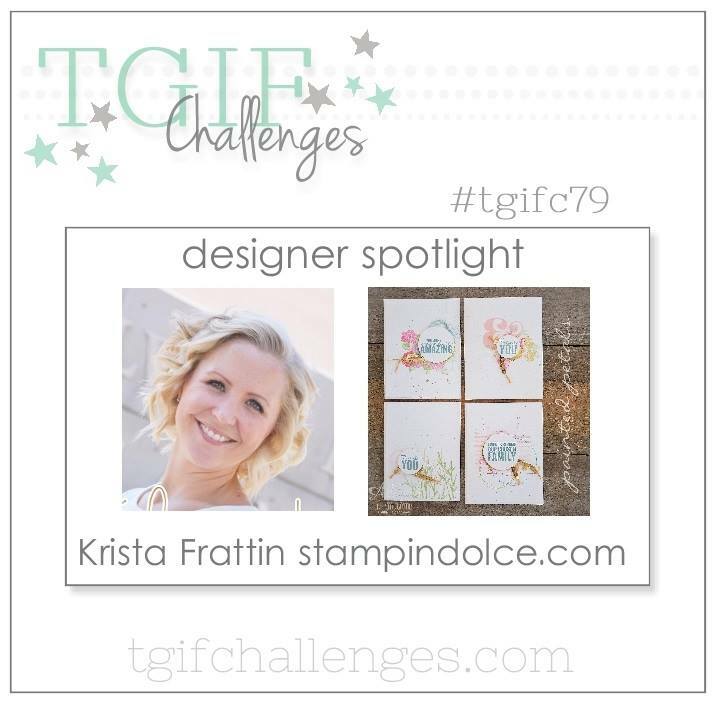 I first heard about Krista when she was selected for the Stampin' Up! Artisan Design Team a couple years ago. 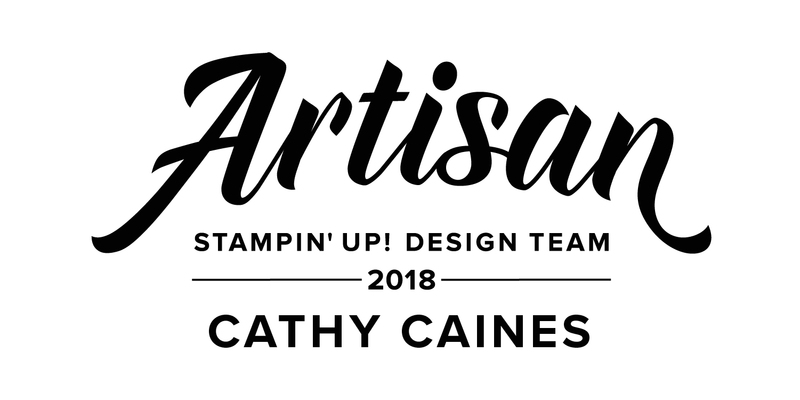 I picked her out in the crowd in Salt Lake City at the Stampin' Up! convention. I knew she'd be a star. I love her style. I love her cabin stories. Her pixie haircut and her willingness to show her every day life. I love her little details... dolce details, anyone? When I think about my friend, Krista's style. Yes. I said friend. I mean, she accepted my Facebook friend request leading one to believe that she didn't think I was a stalker... #ifooledher... If we are Facebook friends, we must be best friends? .. back to her style. Its like white. I think airy. I think sparkle here and sparkle there. I think about gift wrapping and I think about pastel coloured flowing dresses. I may not have captured her style perfectly, but she inspired me... and that's the point, right? Won't you play along with us and be inspired by her style as well? 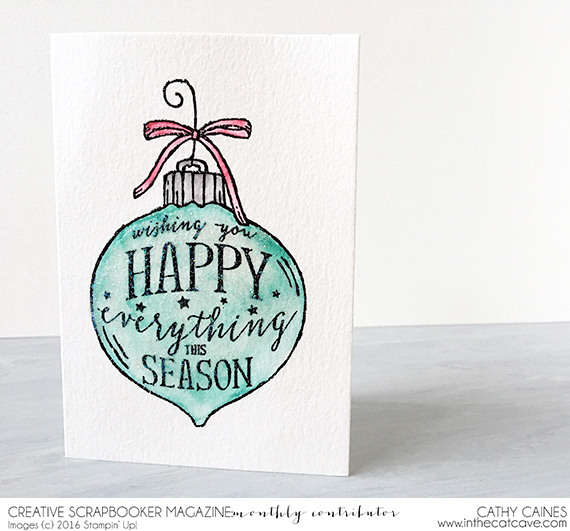 This month, my Fancy Stampin' Up! friends and I are sharing tips and techniques. 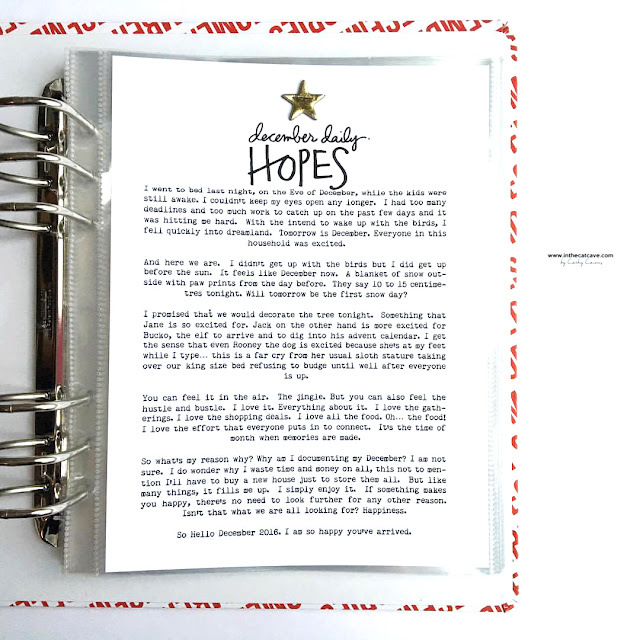 So, I think you are going to need to grab a coffee and relax because this is sure to be inspiring. 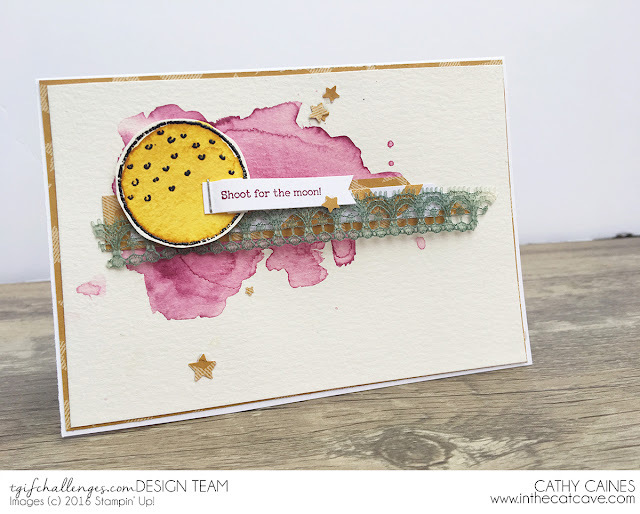 One of the things that I am doing regularly is watercolouring with my Stampin' Write markers and aqua painters. In September, I made a video showing blog readers of Creative Scrapbooker Magazine how I watercolour the easy way. You can find the post and video here. The reason why I think my way is the easiest is because all I need is my markers, an aqua painter and a paper towel. As long as you are using watercolour paper and have enough water on the image, you can make colouring a snap wherever you go... like on a airplane... which I recently was doing. But what's my biggest tip that will change your crafting life? I stamp and emboss in bulk in my craft room. I die cut in bulk and I punch in bulk too. I usually place all these images in a jewelry dish on my craft table. Why is this amazing??? it means that you can have these images on the side ready for you whenever you need them. I literally place elements together and staple. Then adhere to a card base. Done. Now that your mind is blown, take a minute to pull yourself together. Aw. 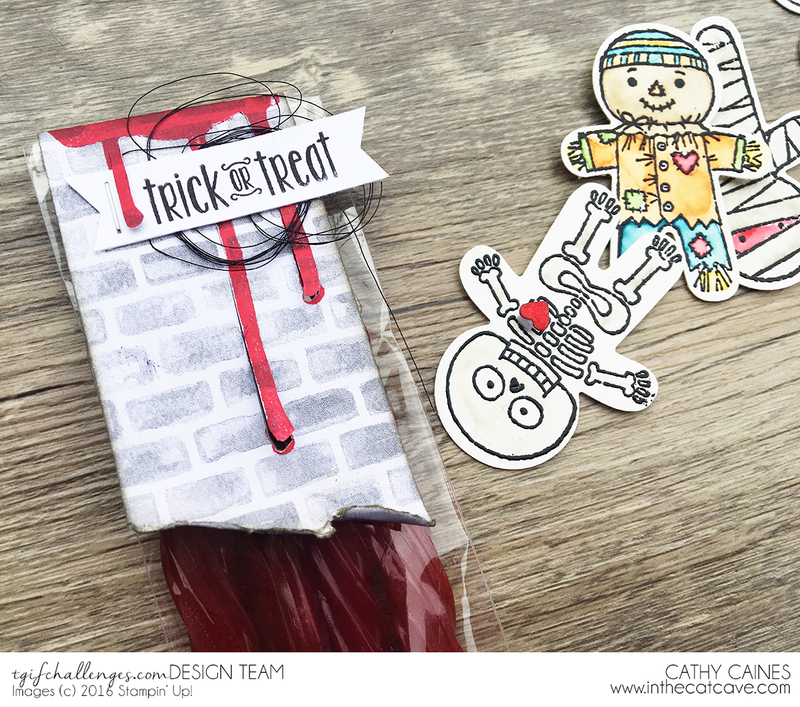 Now go visit my friend, Erica Cerwin from Pink Buckaroo Designs. She will sure take your brain to another level. It's hard to believe that my family won't be shopping for Halloween costumes this year that can fit over snow suits... because we are headed to the Sunshine State for a snowsuit-free Halloween. However, no matter where we go. We need candy! The Paperie is my local scrapbooking store (LSS). Each month they put off many classes but one that I often look forward to is with Cathie Reed from With Coffee in Hand. 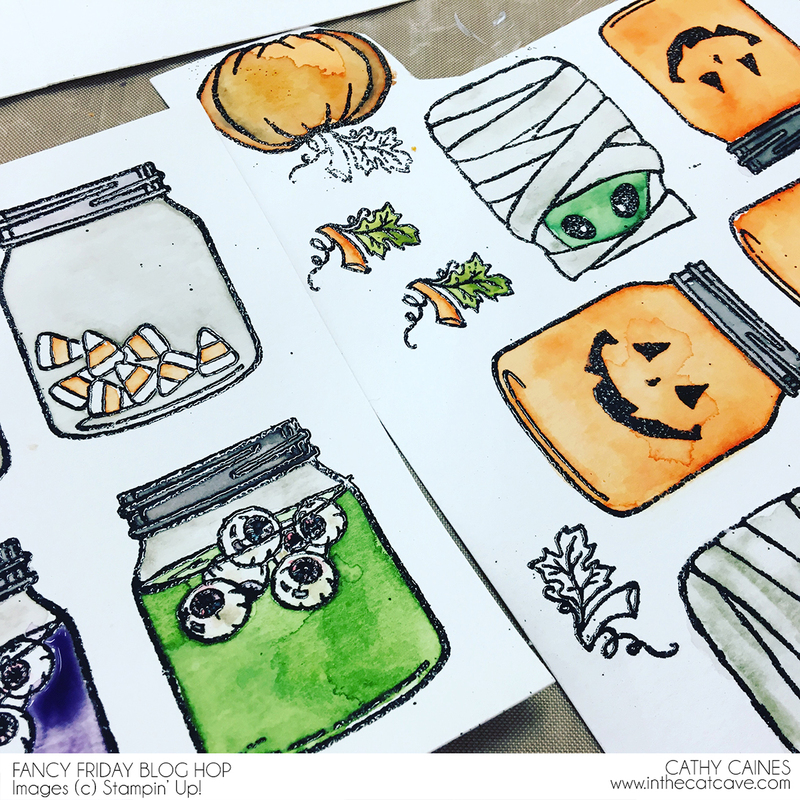 She has been busy on Instagram playing in her art journal so be sure to check her out. During the two hour class we played with mixed media. Something I love to do but don't always have the time to take out all those products. Again, I am continuing my quest to finish last December by the end of October. This doesn't mean I am done 2015 at all. In fact... I am not even close. However, it does mean that I have a big piece of that puzzle completed. My first layout is a combination of embossing enamel, Dina Wakely paint, Prima Colour Blooms and beads adhered with 3D gloss. This gold layout matched the photo perfectly and looked very similar to Cathie's layout - why change a great thing? 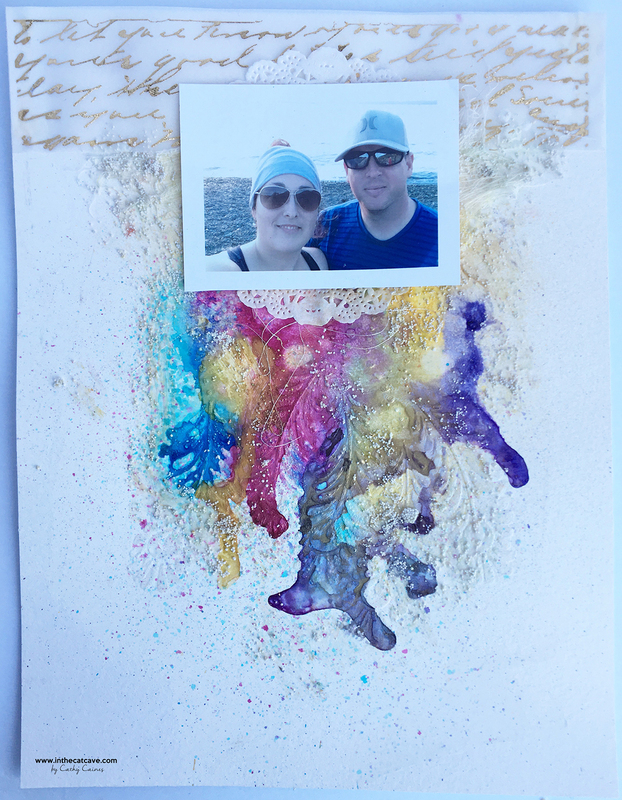 In my second layout, my friend, Sara Case Strickland from Sara Things allowed me to use her feather stencil. Again, using Colour Blooms and 3d gloss to adhered a multitude of beads, the background was created. The gold design on the top of the page comes from some Prima rub ons that was adhered to some vellum. You'll notice that neither of these layouts have titles... you'll be okay... you don't always need a title and I simply didn't feel like putting one there. Thanks for dropping by and be sure to drop in for a class with Cathie if you ever get the chance!